As Hong Kong climber Guillaume Ponticelli approaches the crux of a route, he does not merely hope for the best. He has worked hard on mental availability, being present and emotionally under control. With his brain at peak performance, he is able to reach for all the options around him rather than panic and fall. What’s more, it helps him control his fear so that the drop below him does not effect his performance. Ponticelli talks to host Mark Agnew about what it means to be mentally available, how he reaches that point and how it is as important as physical strength. He also enthusiastically explains that there hidden lessons about being calm under pressure, pointing to film scenes full of guns and fights that seemingly have no link to the sport. Climbing is contradictory in many ways. The athlete is moves slowly and meditatively, but still, they are at their physical limit, out of breath and building lactic acid. 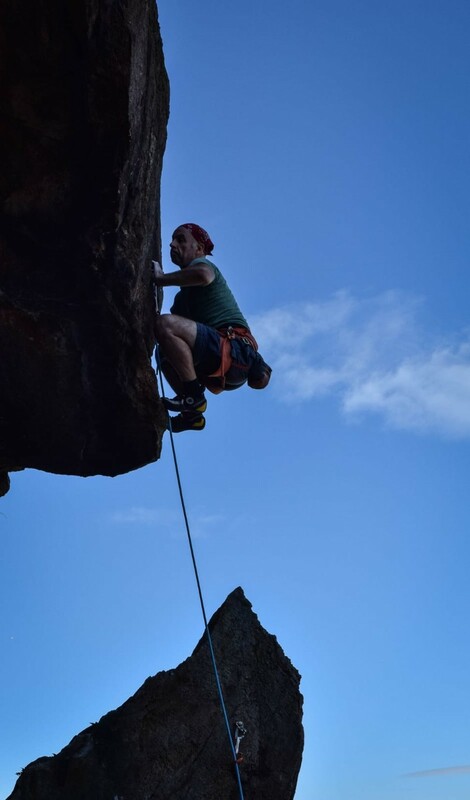 It’s this unique combination that means the mental aspect is as important in climbing as any other sport. It is like solving a puzzle while reaching your physical limits. The Adventure Trail podcast covers all things outdoor and extreme. While most the coverage is geared towards trail and ultra running, hosts Mary Hui and Mark Agnew discuss a range of topics with athletes from various sporting backgrounds.